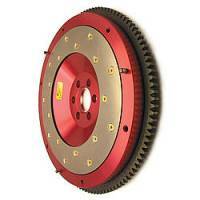 Fidanza aluminum flywheels are very strong and will give a tremendous boost in performance. Pit Stop USA has all of your Street Performance needs including Pontiac Firebird (4th Gen) Drivetrain. 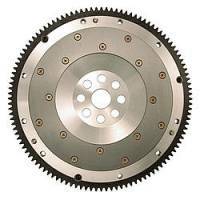 Fidanza Engineering Aluminum SFI Flywheel - Ford 2.3L 74-93 SOHC - 9 lbs. Pit Stop USA is The Online Motorsports Superstore! Fidanza aluminum flywheels are made from the highest quality 6061 T6 aluminum. The material is fantastic for strength, heat dissipation and of course reduction in weight. The friction surface we use is an icredibly strong 1045 steel. The flywheel friction plates are milled to meet our high specifications. 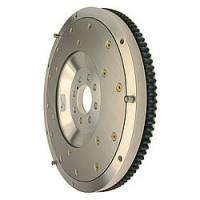 A Fidanza aluminum flywheel can mate with any type of clutch material, including organic, kevlar, ceramic, metallic and sintered iron. Fidanza attaches the replaceable friction surface with military grade aerospace fasteners. 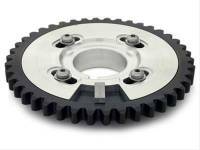 With these replaceable friction plates there is no need to replace the entire flywheel when the clutch or flywheel is at the end of it's life, saving time and money. Fidanza ring gears are also made from 1050 steel and are heat treated for durability. Fidanza flywheel ring gears are heated then pressed on and secured with grade 8 button screws. Fidanza was the first to utilize a stepped dowel system in most of Fidanza flywheel applications. This doweling method ensures that once the pressure plate is installed the dowels cannot be removed because they become locked into place. No chromemoly can compete with the awesome serviceablity, strength and superior design of Fidanza's aluminum flywheels. If there was a better material out there, Fidanza would be using it. 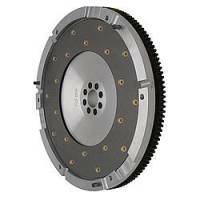 Not all drivers look for the same thing when purchasing a clutch kit. For this reason Fidanza offers four different levels of performance. From the mild to the wild. Fidanza has the right clutch to suit your style. It's all there. 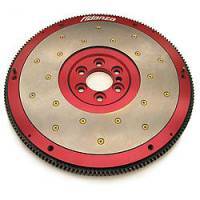 When purchasing a Fidanza Clutch Kit you only need to know one part number, that's it. Find the application you need, the stage you want and you get it all, the Fidanza pressure plate, the Fidanza disc, the Fidanza throw out bearing and the pilot tool to install it. We feature Fidanza products at low everyday prices.